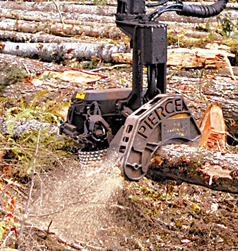 Madsen's specializes in serving professional chain saw users. If you make your living with a chain saw -- or just want the kind of tools or garments used by some of the hardest working people on the planet, Madsen's is for you. Madsen's is a three-generation family business that has been serving customers since 1946. 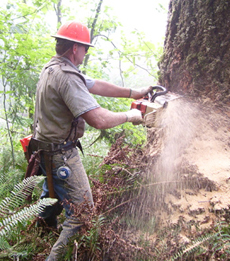 Most are loggers and timber fallers in the US Pacific Northwest and Alaska. We also have customers in other US regions, in Canada, and outside North America. 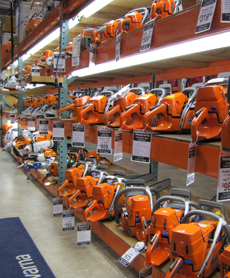 Madsen's is an authorized dealer for Stihl®, Husqvarna®, and Honda® power equipment. Our warehouse is filled with chainsaws, related tools, and various timber harvesting supplies, including lots of rugged outdoor work wear. The Madsen's team serves over 10,000 customers each year -- making us large enough to offer great prices, expert service, and a wide selection of products, yet small enough to care about each customer.